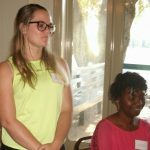 Dillon School District Four welcomed their new teachers with a luncheon at Twin Lakes Country Club on Wednesday, August 8th. 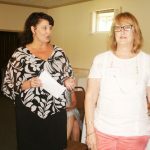 The luncheon was hosted by First Citizens Bank, who has sponsored the luncheon annually for more than 30 years. 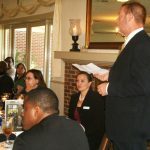 Each table with new teachers had a host or hostess seated with them from First Citizens Bank. Each place setting had small gifts for the guests to take with them. Superintendent Ray Rogers welcomed everyone to the luncheon and said they were indebted to First Citizens Bank for the many years they have hosted this event. Dillon District Four Board member Famon Whitfield gave thanks for the meal and event. After this, the guest enjoyed a buffet-style meal and dessert. The board members were introduced. Those present included Chairperson Ethel Taylor, Alex Lewis, Burt Rogers, Kenny Bethea, and Famon Whitfield. 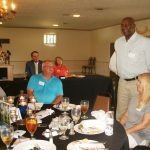 Superintendent Rogers personally thanked Ray Stephens, a 1986 graduate of Dillon High School, and Donna Edwards for their part in the luncheon. He called on Stephens to make remarks. Stephens said that First Citizens Bank in 1964 had more than 500 branches in 19 states. Dillon is the highest ranking branch in the country. He wished the new teachers a successful school year. The new teachers for each school were introduced by the principals. There were no new teachers for East Elementary School, where the principal is Shannon Berry. Principal Kim Walsh introduced the new teachers for Lake View Elementary School. Francis Baker- Mrs. Baker is a resident of Lake View. She is a graduate of Francis Marion University where she obtained a Bachelor’s Degree in Early Childhood. She also holds a Master’s degree from Winthrop University. She comes to us from the Marlboro County School District. Mrs. Baker brings 32 years of teaching experience to our district. She will be teaching 3rd grade. Connie Lane- Mrs. Lane is a resident of Latta. She graduated from Francis Marion University with a Bachelor’s of Arts in Elementary Education. She received her Master’s degree from Walden University and her gifted and talented endorsement from the College of Charleston. Mrs. Lane previously taught with Dillon School District Four at J.V. Martin. She has 31 years of teaching experience. She will be teaching 4th grade. Anna Benton Thigpen- Mrs. Thigpen is a resident of Latta. She is a 2015 graduate of Francis Marion University. There she obtained a Bachelor’s of Science degree. Mrs. Thigpen completed her student teaching at Dillon Middle School. She brings two years of teaching experience from Latta Elementary. She will be teaching 4th grade. Adam Williams- Mr. Williams is a resident of Dillon. He has previously taught with Dillon School District Four. He graduated from Coastal Carolina with a Bachelor’s of Arts in Elementary Education. Mr. Williams also received a Master’s of Education in Curriculum and Instruction from Concordia University. He has 15 years of teaching experience. He will be teaching 4th grade. Brandy Hufford- Mrs. Hufford is a resident of Nichols. She graduated from Coastal Carolina University with a Bachelor’s of Arts and received her Master’s from Cambridge University. She was most recently employed at Aynor High School as a Guidance Counselor. Mrs. Hufford brings 20 years of teaching experience to Dillon School District Four. Principal Jan Powers-Penuel introduced the new teacher for South Elementary School. Norma Coote- Mrs. Coote is a resident of Marion. She is coming to us from Latta Elementary, where she has taught first grade for 30 years. Mrs. Coote also has three years of experience in third grade. She obtained a Bachelor’s of Arts at Coastal Carolina University. She also received a Master’s in early Childhood from the University of South Carolina, Columbia. She will be teaching 2nd grade. Principal Wendy Pace introduced the new teachers for Stewart Heights Elementary. Jennifer Collins- Mrs. Collins is a resident of Latta. She attended Francis Marion University where she obtained a Bachelor’s degree in Psychology and a Master’s degree in Special Education. She comes to us from Florence District 4 and brings 5 years of teaching experience to Dillon School District Four. She will be teaching Special Ed. Sonja Rogers- Mrs. Rogers has recently relocated to Dillon from Blythwood. She has a degree in Music from Columbia College, a Master’s of Education from the University of South Carolina along with a Master’s plus 30 from USC. She has 30 years of teaching experience, most of which she obtained from Richland School District Two. Mrs. Rogers began her teaching career at East Elementary. She will be teaching 1st grade. Wayne Bailey- Mr. Bailey is a resident of Dillon. He is a graduate of Francis Marion University. He has been a Paraprofessional in both Dillon and Lake View. Mr. Bailey is currently in the SC Create Program. He has 21 plus years of classroom experience. He will be teaching Special Ed. Mr. Famon Whitfield introduced the new teachers for Gordon Elementary. Crystal Ellison- Mrs. Ellison is a resident of Dillon. 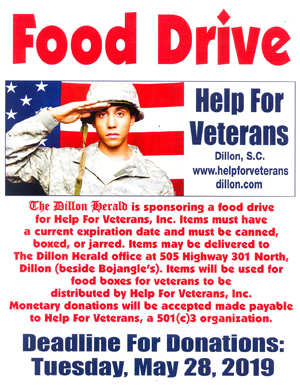 She is a graduate of Dillon High School and a recent graduate of Francis Marion University. There she obtained a Bachelor’s of Science degree in Elementary Education. She did her student teaching at South Elementary. She will be teaching 5th grade. Betty Roberts- Mrs. Roberts is a resident of Hamer. She received a Bachelor’s of Arts from South Carolina State University and her Masters form the University of North Carolina at Pembroke. Mrs. Roberts brings 32 years of teaching experience from the Marlboro County School District. She will be teaching 4th grade. Julia Salmon- Mrs. Salmon is a resident of Darlington. She received her bachelor’s of Science degree from South Carolina. She has 20 years of teaching experience. She has done most of her teaching in Darlington but most recently taught at Florence District 4. She will be teaching 4th grade. Ashleigh Soden- Miss Soden is a native of Australia. She is a FACES teacher. She received her Bachelor’s of Arts and her Master’s degree from the University of Western Australia in Sydney. Miss Soden has two years of teaching experience. She comes to us from Florence District Four. She will be teaching 4th grade. Fred Cook- Mr. Cook is a resident of Raeford, North Carolina. He has recently retired from Bladen County, North Carolina. Mr. Cook received a Master’s in both Special Education and Administration. Mr. Cook has 30 plus years of teaching experience. He will be teaching resource. Jessica Owens- Mrs. Owens is a resident of Dillon. She graduated from Grand Canyon University with a Bachelor’s of Science in Elementary Education. She is a former Assistant and has two years of classroom experience. Mrs. Owens will be teaching 4th grade. Shanna Hunt- Mrs. Hunt is a resident of Nichols. She currently holds a Bachelor’s of Science and a Master’s degree from Liberty University. She is currently attending the University of South Carolina pursuing a Master’s Degree of Library Science. She formerly taught Special Ed for Dillon School District Four and most recently taught at Johnakin Middle School. Mrs. Hunt will be the new Media Specialist. Principal Rodney Cook introduced the new teachers for Dillon Middle School. Duke Ansted- Mr. Ansted is a resident of Whispering Pines, North Carolina. He attended App State University, St. Andrews College, and Miami College. Mr. Ansted brings over 30 years of teaching experience to South Carolina. He also has some experience in coaching baseball, football, and wrestling. Mr. Ansted will be teaching Special Ed. Angel Grossetti- Mrs. Grossetti is a resident of Dillon. She is a graduate of Francis Marion University. She received her Master’s degree in Social Studies from the University of South Carolina. She brings two years of teaching experience from Dillon Christian School. Mrs. Grossetti is going to be teaching 7th grade Social Studies. 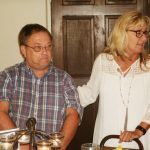 Paula Williamson- Mrs. Williamson recently returned back to her hometown of Latta. She is a former resident of Blythewood. She is a graduate of Columbia College. There she received a Bachelor’s of Arts degree in Journalism and Mass Communication. Mrs. Williamson is currently in the PACE program. She will be teaching 7th grade ELA. Sandra Roberts- Mrs. Roberts is a resident of Latta. She received her Bachelor’s of Arts degree from Francis Marion University and holds a Master’s degree from the University of South Carolina. Mrs. Roberts previously taught at Dillon High School for three years before transferring to Creek Bridge. She has 13 years of teaching experience. Mrs. Roberts will be teaching 8th grade. Mr. Edison Arnette introduced the new teachers for Lake View High School. Miranda Outlar- Mrs. Outlar is a resident of Hamer. She is a 2012 graduate of Dillon High School and a 2016 graduate of Francis Marion University. While at Francis Marion University, she received a Bachelor’s of Science degree in Biology. Mrs. Outlar is a former assistant at Lake View High School. She is currently in the PACE program. Brandi Arnette- Miss Arnette is a resident of Dillon. She attended Lander University. She also attended Francis Marion University. There she received a Bachelor’s of General Studies in Social and Behavioral Science. She was a Paraprofessional at St. Heights and is currently in the SC Project Create Program. She has two years of classroom experience. Principal Timothy Gibbs introduced the new teachers for Dillon High School. Antionette Bostic- Mrs. Bostic is a resident of Clio. She attended Francis Marion University and the University of South Carolina. She brings 11 years of teaching experience form Marlboro County. She will be teaching math. William Clark- Mr. Clark is a resident of Laurinburg, North Carolina. He attended Barton College and the University of North Carolina at Pembroke. Mr. Clark has 25 years of teaching experience that he is bringing to Dillon School District Four. He has coaching experience in both football and baseball. Mr. Clark will be teaching Social Studies. Bryan Grice- Mr. Grice is a resident of Dillon. He is a retiree from North Carolina where he was a teacher and coach. Mr. Grice attended South Carolina State University and obtained a degree in Physical Education. He brings 29 years of teaching experience to the district. He will be the new boy’s varsity basketball coach. Donna Ansted- Mrs. Ansted is a resident of Whispering Pines, NC. She received her Bachelor’s of Science degree from Clarion University of Pennsylvania. She received her Master’s in Administration from East Carolina University and Gifted and Talented Endorsement from UNC at Pembroke. Mrs. Ansted recently retired from Southern Lee High School in Sanford, NC where she taught grades 9-12 AP and Honors Biology. She has 37 years of teaching experience. Matthew Smith- Mr. Smith is a native of Dillon. He graduated from Francis Marion University with a Bachelor’s Degree in Mass Communications with a minor in History. He received his Master’s Degree in history from Liberty University in 2017. He has most recently been employed with Francis Marion University. Click once to bring into a single screen, and then again to enlarge.